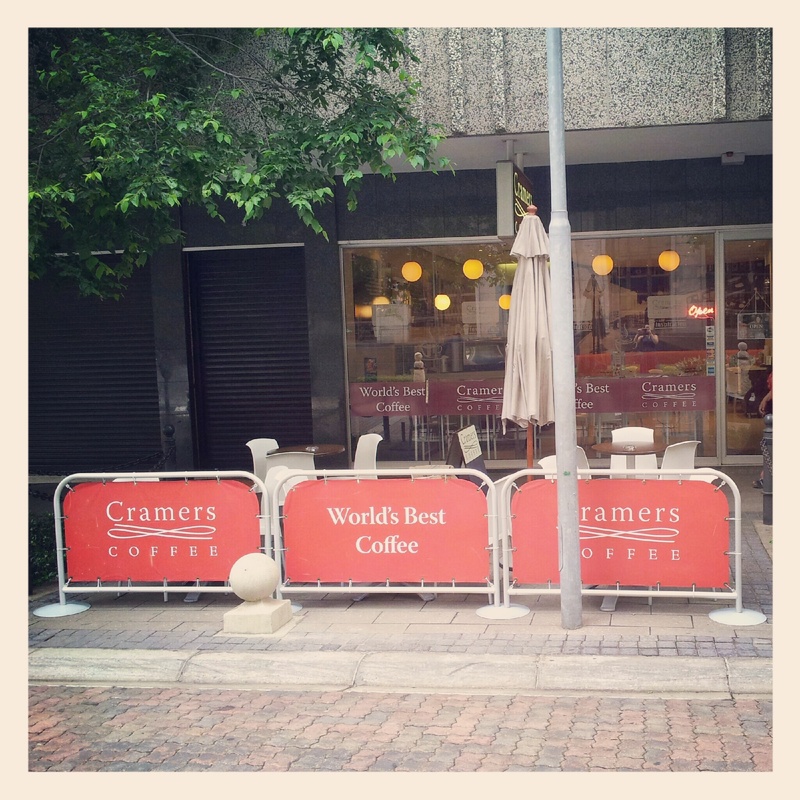 That’s the tagline of Cramers Coffee that first caught my eye when I passed by them – a tough one to ignore when you’re married to a caffeine addict! I’ve already raved about how much we love living in the city & one of our new pass times is taking walks in our ‘hood. 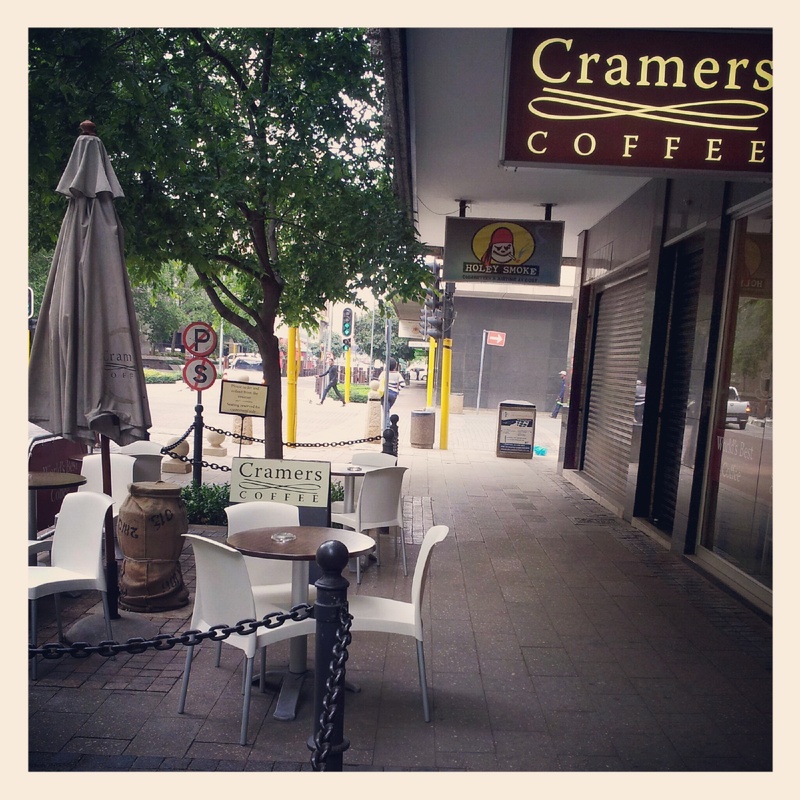 It was on one such walk that we discovered Cramers Coffee & they’re just a skip from our apartment – bonus! The outside seating area of Cramers on Harrison Street. All drinks are made fresh & on demand! The coffee! They make a really good cup & they go all out on the latte art! I love the vibe especially when it’s busy. It’s mostly people grabbing a quick cuppa & running back to the office. There are plently of pre made snacks to choose from, all fresh & yummy. I discovered that they serve Bean There (you may know them from 44 Stanley) which sealed the deal – Cramers was in my good books for life! They open at 6am during the week, so plenty of time to get your fix if you work in the city. There’s ample comfy seating (I hate drinking/eating on the go) inside & on the sidewalk, the latter is my favourite if it’s sunny out. We’ve had good service every one of the half dozen+ times we’ve been back. They’re open till 1:30pm on Saturdays (they’re worth the drive into town, promise!) & closed on Sundays. 17 Harrison Street (corner Main Street), Marshalltown, Johannesburg CBD, South Africa. Is it Halaal? Are we adequately catering for the market in South Africa? Thank you so much for the blogpost! you really got the Cramers team inspired.